The AOS is an advocate of the preservation, maintenance and appropriate management of orchid habitats as a primary goal of international and national conservation policies and practices. Consistent with this objective, the AOS endorses the artificial propagation of orchid species from seed and discourages the collection of orchid species from their natural habitats. However, where appropriate and practical, the AOS supports the rescue and relocation of orchid species from habitats that are endangered or threatened. 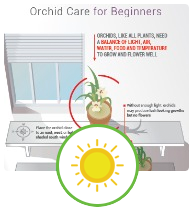 strategies for the in-situ propagation of native orchid species, as well as ex-situ strategies of artificial propagation, including the sharing of the seed of orchid species between growers and botanical gardens, as well as seed banking; and when the preservation of the natural orchid habitats is not feasible, the rescue and relocation of orchid species. 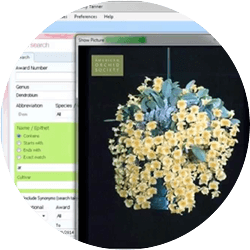 The identification of any particular orchid species as threatened or endangered is a complex undertaking that must rely on the latest scientific and technical information and data. Moreover, such classification must contain sufficient flexibility to reflect the evolution of our scientific and technical understanding. Therefore, the AOS supports the compilation of information and data on the prevalence of orchids and their culture in natural and artificial habitats. The AOS also supports the dissemination of this information and data among all affected parties, including governmental officials. Such exchange of information and data is essential if the implementation of international trade policies is to be consistent with broad orchid conservation goals and objectives. Seed-grown plant of Cattleya dowiana. Artificially propagated species from line-bred parents have superior form and growth characteristics. 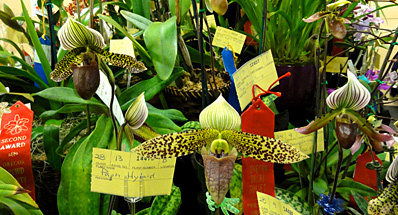 When superior forms of orchid species are available, the demand for collected plants is lessened. 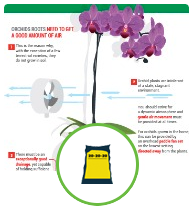 In addition to the preservation and maintenance, as well as the management where necessary, of natural orchid habitats, the AOS encourages the successful culture of orchid species in public and private collections. The AOS believes that this objective is, to an extent, being achieved through artificial propagation and subsequent distribution of orchid species in greater numbers. Further efforts are needed, however. those policies and practices that encourage through artificial propagation the preservation of a broad and diverse gene pool of orchid genera and species. the increased availability in the trade of artificially propagated orchid species, under the same terms and conditions as artificially propagated orchid hybrids. The AOS believes that the increased availability of artificially propagated orchid species in commerce will help mitigate threats posed to native habitats by collecting. 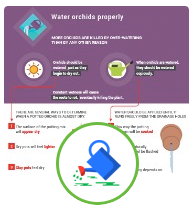 Orchid conservation activities are aided by the availability of the latest information and data concerning orchid conservation policies and practices, as well as cultural information. The AOS believes that the identification of specific orchid habitats that are endangered is a chief concern. The AOS believes that greater public awareness of the specific governmental agencies responsible for managing and administering natural orchid habitats is a necessity. Further, encouraging the enforcement of applicable laws and regulations is one of its top priorities. The AOS encourages broader dissemination to affected parties of information on international and national orchid conservation policies and practices. The AOS also believes that participation in the compilation and dissemination of information relating to applicable orchid conservation and trade laws and regulations will benefit its membership directly, as well as aid the public awareness of conservation. The AOS supports, and encourages its members and affiliated societies to support, the full dissemination of the latest scientific information and data on orchid species to all affected parties. The AOS believes further efforts are needed to establish an international data bank of orchid species. Such a databank would not only aid in the identification of those species that may or may not be endangered, the information made available as a result of this effort might help to better distinguish orchid hybrids from species. establish orchid conservation committees to further these, as well as the AOS’s, conservation objectives. support efforts to preserve, maintain and manage natural orchid habitats. 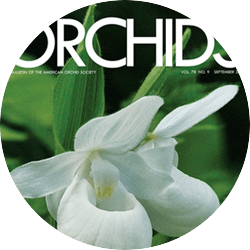 support the establishment and maintenance of public collections of orchid species and historically significant orchid hybrids. 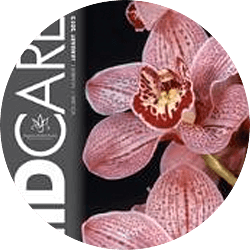 identify important public and private collections of orchid species and historically significant orchid hybrids that may be endangered or threatened. Once identified, the AOS encourages its affiliated members and societies to undertake those actions necessary to preserve, maintain and manage natural orchid habitats, as well as public and private collections of orchid species. In the furtherance of these objectives, the AOS supports cooperative arrangements among regional, national and international organizations that share the AOS’s orchid conservation objectives. In particular, the AOS supports the exchange of information among domestic and foreign members and affiliated societies about orchid conservation activities. The orchid family displays a diversity matched by few other plant families. Such important diversity can only be protected by actions at the local level. By providing accurate information in a timely fashion, the AOS encourages its members to be vigilant and active in the conservation of sensitive habitat. In the furtherance of this objective, the implementation of current international and national policies and practices should be made more uniform, with the recognition of the importance of trade in artificially propagated plants. 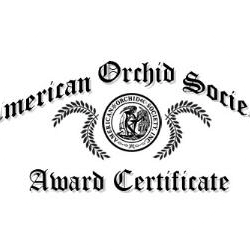 The AOS also supports the rationalization of international and national orchid conservation and trade policies and practices to reflect the evolution of scientific and technical information and data on orchid species. Finally, the AOS believes that a reconciliation of the Appendices by the Conference of the Parties to encourage trade in artificially propagated orchid species is both needed and merited. In addition, the AOS believes that such appendices should reflect those specific orchid species and genera that are truly "threatened" or "endangered" based on the most accurate available scientific and technical information and data. In summary, the AOS believes that international and national orchid conservation policies and practices should encourage the preservation, maintenance and, where appropriate, management of orchid species in their natural habitats. Similarly, such policies and practices should encourage the artificial propagation and cultivation of such species for distribution in trade and commerce. The objective of such policies and practices should be to assure a diverse genetic pool of orchids in both natural habitats and under artificial cultivation.